At the most desperate time of the season, the Columbus Blue Jackets answered the bell. They are now in prime position to clinch an Eastern Conference playoff spot this week as early as Tuesday. Pierre-Luc Dubois scored and added two assists. Oliver Bjorkstrand scored in his fifth straight game. Nick Foligno and Josh Anderson each added a goal and helped the Blue Jackets to a convincing 4-0 win Sunday night at KeyBank Center. The theme of the night was depth scoring from numerous sources outside the top line. The Blue Jackets did everything to make sure Buffalo’s miseries continued. Bjorkstrand and Foligno helped take the life out of an already dead building by adding goals within a 10-minute span. The bottom three lines all contributed in the first period. From there, Sergei Bobrovsky did everything asked of him and made key saves to keep the Sabres off the board. Bobrovsky earned his ninth shutout of the season. He now is the league leading in that department and is just one shutout shy of tying Steve Mason’s record of 10 shutouts in a season for the Blue Jackets. He is on a roll. But he’s carrying a proper perspective about the goings on. “I’m just going to put my gear on, put my helmet on and enjoy the flow of the game, enjoy the environment, enjoy being part of this team.” Bobrovsky said. His defense is also doing the job in a big way. Up and down the Blue Jackets, there’s a certain confidence and swagger about everyone top to bottom. Whatever happened in Vancouver, which is none of our business, has righted this ship. The Blue Jackets can now clinch a third straight playoff berth Tuesday with a win against Boston and a Montreal regulation loss to Tampa Bay. The Blue Jackets clinched the ROW tiebreaker over Montreal Sunday night. 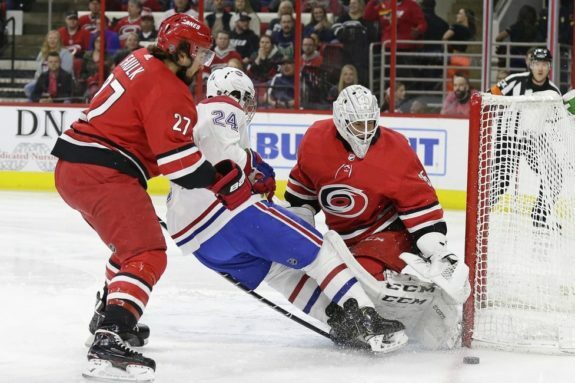 As is, the Blue Jackets magic number is 4 to get in the playoffs over Montreal, any combination of the Blue Jackets gaining points and Montreal losing points will do it. The Blue Jackets can also clinch with four points in the final three games no matter what other teams do. There are different parts of the lineup that just look rejuvenated in this stretch. It doesn’t matter which line we’re talking about, confidence is brimming every time someone steps on the ice. Two guys in particular are Riley Nash and Brandon Dubinksy. Why is there a sense of rejuvenation? Foligno said that everyone is just having fun. They see how valuable of a line they can be. They’re enjoying the challenge that they can really help dictate the play. That’s great news for a team that can throw four lines at you anytime and find success. Oliver Bjorkstrand looks like a different hockey player. He’s scored in five straight games. He looks confidence and poised to be a difference maker. What did Tortorella say was the moment that got him going? His work habits about two or two and a half months ago really got going and the results have spoken for itself. He’s always been a dangerous shooter, but is now working the right way on top of that. He is the seventh Blue Jacket to 20 goals on the season. The Blue Jackets are winning in different ways in different situations. They went to a hostile environment in Nashville and won 5-2. They then went to Buffalo where it felt dead most of the night and dominated. They are rounding into form at the right time and are poised to take their best shot in the playoffs. Considering how far they’ve come from the end of the Edmonton game, it’s an accomplishment but there is so much more to do. Speaking of work to do, that’s what the Blue Jackets have. While all this success is nice, they haven’t accomplished anything yet. They’ve played well to get into this position. Now they must close the deal, get in the playoffs and make the most of the opportunity. This team knows that and are playing the part well. 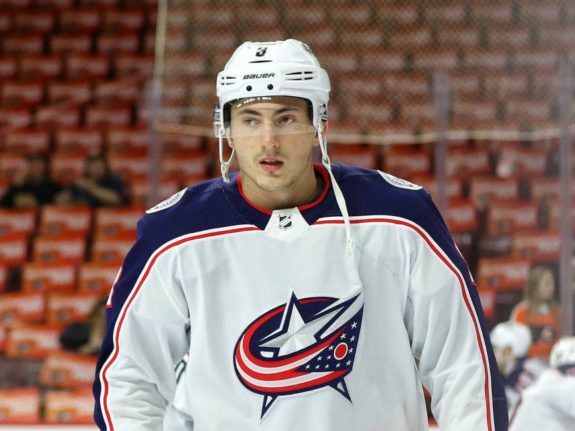 Zach Werenski is playing his best hockey of his Blue Jackets career from a two-way aspect. I’ve not seen him play better defensively in his time. He’s aggressive. He’s using his size. But he’s not forgetting about his offense. Once he rounds everything out, he could become one of the best in this league in due time. He’s showing flashes of it. But the work he’s undertaken behind the scenes with video, practice and preparation are paying off. He’s brimming confidence and adding another dangerous element to an already dangerous team. The Blue Jackets return home to play the Boston Bruins on Tuesday night. This is their last regular season home game of the season. They then play in New York and in Ottawa to close the season. They may or may not have something to play for by then. It depends on what happens the early part of this week. They’re fun. They’re confident. Everyone is on the same page. It’s a complete 180 from just two weeks ago. Full credit to the staff and players for figuring their issues out and pulling this in the same direction. But it’s time to finish the deal. Given their attitude and outlook, chances are looking good they’ll get in the dance. But that’s just the beginning. The real stuff comes soon.